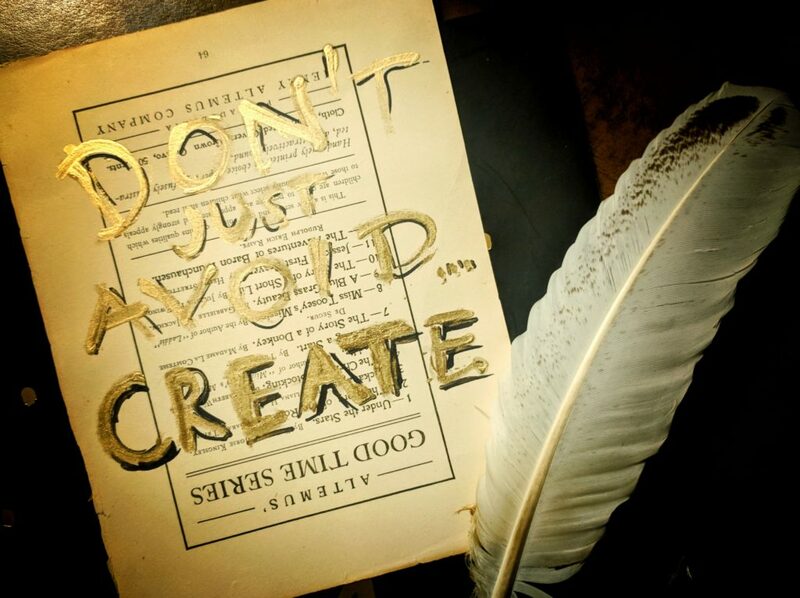 >> Stop Avoiding, Start Creating. I have a new mantra that has a power to change my perspective. It changes my energy in an instant, and through this – my actions, and through this – the outcome. The mantra is: Stop Avoiding. Start Creating. The excuse “this is how things have always been” IS NOT the reason to leave them this way. Are you going thru a rough time in your marriage? Don’t just avoid arguments and heartbreak, create a vision of much better marriage with this person (or another…) , share it with them, and seek tools to make it happen. Are you tired of your chronic pain? Don’t just avoid the pain by taking meds, create a vision of vibrant health. Redefine what is possible. This may open your eyes to therapies you never considered. Tired of dieting? Don’t just avoid and deny yourself the foods you really crave, create a plan of exercise that works and a healthy eating plan you will enjoy to the fullest. Are you going thru a period of financial hardship? Don’t just avoid late fees. Create a wild map of new earning possibilities. Are you bored by holiday parties? Don’t just avoid them. Create a vision of having the most interesting conversations, while making meaningful connections. Tired of dating? Don’t just avoid pain by avoiding dating. Create a vision of an amazing partner, then become the person they will be crazy in love with. I get it: sometimes we try everything and nothing seems to work. In those situation, at least you may create (or discover) new empowering meaning of this situation. Brian Tracy in “New Psychology Of Achievement” quotes a 22 year study done by the University of Pennsylvania, on 350,000 business people. What made some more successful than others? The results were: top 10% of people who achieved success, focused on what they want and how to get it. The remaining, average and unsuccessful people focused on: what they don’t want, the past, what made them upset, and who is to blame. I’m not writing about financial success here, however we define it, but the same universal law applies to every area of life. A person who once called me said: “I didn’t end up here (not the life to be proud of) because I planned it. I simply went through life avoiding things I didn’t want.We need the right perspective and just decide what we really want.” I took these words to my heart because at that time I focused on avoiding upsetting people, and watering down my personality. It felt like a hard work… instead I could have focused on creating deeper connections. Recently I was writing a proposition to someone and it felt heavy. I caught myself thinking “I just don’t them to judge me…” but the mantra “Stop avoiding, start creating” popped into my head and changed my energy; I finished writing lightly, thinking “Let’s propose something impossible to resist!” Do you suspect the letter was a bit different written from this perspective? 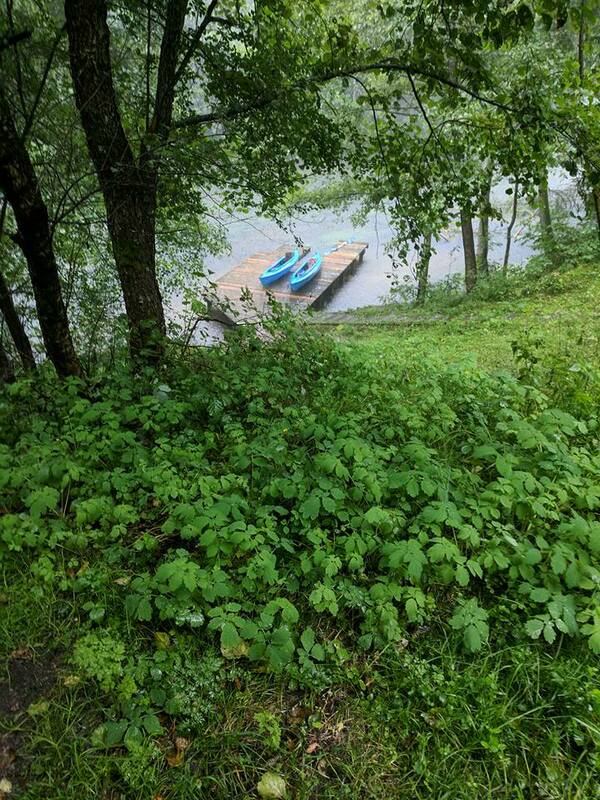 For the past 37 years I have been dreaming about paddling Czarna Hancza river. Few months ago we traveled to the area, and on the planned day it rained. We went anyway. Then it rained cats and dogs. Only when thunder and lightnings got closer to us, we got out of the water. Though in the end we were completely drenched, the experience was priceless. If I avoided rain, I’d deny myself the satisfaction. What new experiences would You like to create?